Panthers Stand Proud to Prevent Bullying! Bullying is any aggressive and unwanted behavior intended to harm, intimidate or humiliate the target. It includes, but is not limited to verbal or written threats, physical harm or use of electronic communication that causes severe emotional trauma. Teasing allows the teaser and target to swap roles. It is not intended to harm another person and is done in a light-hearted manner. Bullying is one-sided and intended to harm another person. It involves a real or perceived imbalance power. What is Rappahannock County Public Schools’ stand on bullying? Bullying is classified as prohibited conduct in School Board Policy JFC-R. Bullying will be reported to the principal for appropriate disciplinary action which may include recommendation for long term suspension, expulsion and/or referral to local law enforcement. What can students do about bullying? Students should report any incidents of bullying to a staff member. Should there be a threat of harm against any student the school will work in partnership with local law enforcement to investigate. What are we doing to prevent bullying? RCPS utilizes the Olweus Bully Prevention Program as the foundation for training staff and educating students. A bullying prevention program is coordinated through the Bully Prevention Planning Team that is coordinated by the school psychologist. he subject of bullying is discussed with all students at the beginning of each school year, during a review of the Code of Student Conduct. As a point of interest, a division-wide character education program was originally implemented in 1997. The schools still use this program to expand on its philosophy of character education which discourages bullying. Both schools have implemented a positive behavioral support system as a school-wide initiative that emphasizes respect for others. Teachers are trained to reinforce character and leadership skills to decrease discipline referrals associated with bullying. School counselors and the school psychologist routinely consult with teachers, parents and school administrators around issues of bullying and work with students identified as requiring behavioral intervention or counseling support. School psychologists conduct threat assessments to determine the type of social/emotional support that needs to be provided to the student who bullies anotherstudent since the goal is to change the behavior of the bully. School counselors provide resources to support the parents of the target and bully. 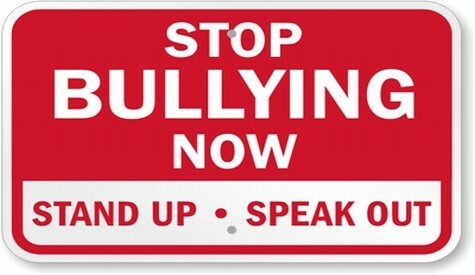 In January 2011 anti-bullying signs were posted on all school property.